One of our newest and most raucous signings, Fist City are one of the only bands Transgressive have signed without having seen them live, or indeed ever meeting them in person. Their music made such an impact on us that we snapped them up almost immediately. Thankfully when they came to the UK to support the re-release of their debut album ‘It’s 1983, Grow Up!’ they turned out to be an unbelievable tour de force live, as well as really lovely people to boot. 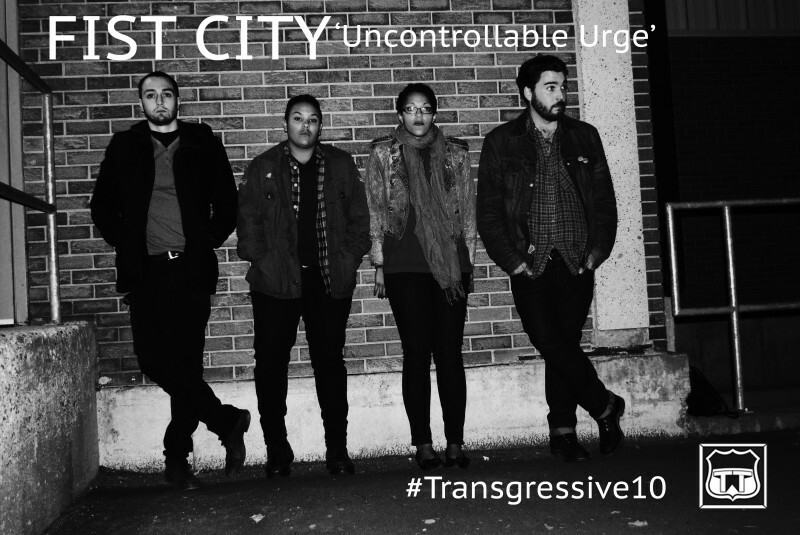 A four piece from Alberta, Canada, Fist City bring their cover of Devo’s classic ‘Uncontrollable Urge’ to the table for our 10th Anniversary giveaway. With twins Kier and Brittany Fist on vocals, Evan van Reekum shredding it on guitar and drummer Ryan Grieve performing some unbelievable feats on the kit, it brilliantly showcases why we jumped at the chance to share this incredible band with the world.